I come from Varese, a town in Italy, so a menu inspired by Italian cuisine was a clear choice. Spring Chef Menu was prepared by Matteo De Carli, the owner and Chef of Casa De Carli restaurant in Prague – a highly recommended spot featured in the Michelin Guide. 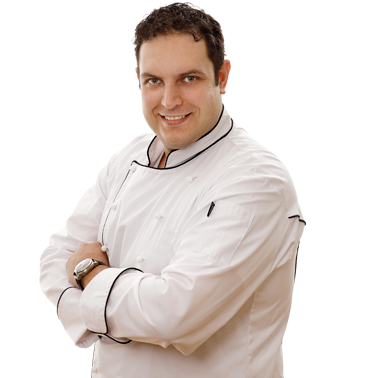 Matteo has a colorful portfolio as a Chef in many world-class restaurants. As his last accomplishment, Matteo held the Chef position in the Michelin star-boasting Cipriani restaurant in New York. During this time as a personality of the Broadway culinary world, his creations were appreciated by Kim Kardashian, Bono or Rihanna. 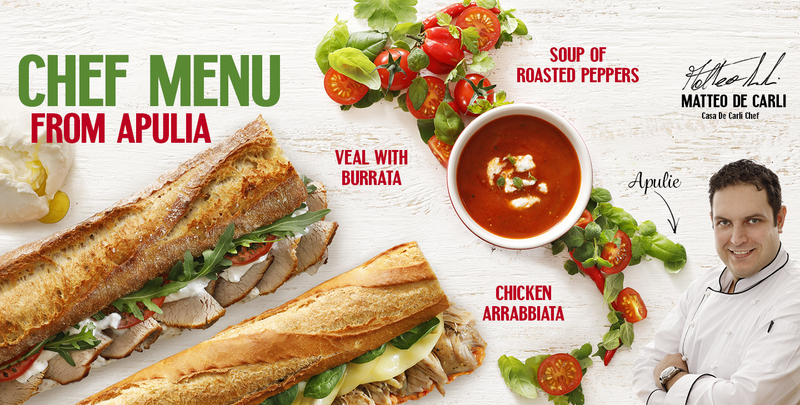 This chef menu blends with Italian colors - red, white and green. Traditional ingredients such as tomatoes, mozzarella and rucola are complemented by creamy burrata, peppers or chickpeas with fennel. Veal with burrata is filled with amazingly soft cheese, tomatoes and veal. Balance of taste promotes spicy rucola and luxury truffle dressing. This baguette has all the colors of the Italian flag, and the golden on top. Chicken Arrabiata will delight you with a rich portion of juicy chicken thighs, baby spinach and a paste from dried tomatoes and chilli (the famous peperoncino). The baguette is baked with irresistible smoked Scamorza cheese. You can find traditional raw ingredients in a delicious Italian soup of roasted peppers. This popular classic is decorated with burrata, a creamy variant of mozzarella with cream center. 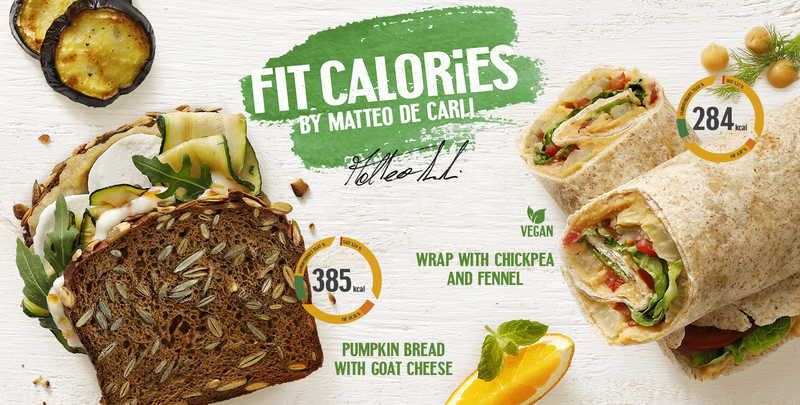 The Fit Calories menu will delight all healthy eating lovers including vegetarians and vegans. Wrap with chickpea and fennel contains chickpea paste and root vegetables, roasted fennel, tomatoes and little gem salad. Pumpkin bread with goat cheese explodes with taste. The base consists of eggplant caviar and fresh goat cheese, roasted zucchini and a pleasant bite of rucola. The orange dressing will win both your heart and your taste buds. We will deliver all the new flavours and fresh news about us.